Our collection of artifacts includes hundreds of items collected by our volunteers over the years as well as donated items from supporters' own collections. These items trace the significance of the railway here at Borth and the surrounding areas, where the lead mining industry, agriculture and of course tourism played an important role. 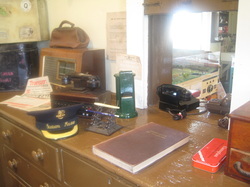 The old ticket office has been completely renovated, keeping as many original features as possible. 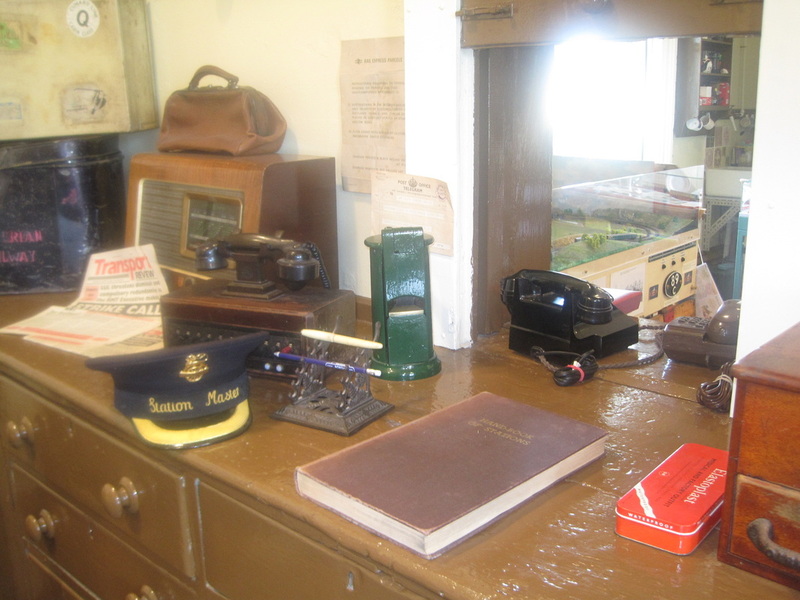 The ticket hatch, original desk and fireplace has been retained, and has been restored to how it would have looked during the 1950s, with many of the artifacts found in the abandoned cupboards having been cleaned of many years' of dust and replaced in their rightful places. 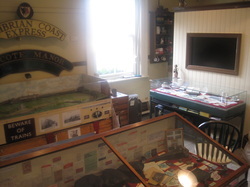 The old waiting room is where you'll find our interactive displays, including a model railway, a cabinet full of old railway related items, and a specially produced video about the local area and the station itself. The collection has taken many months to put together and is frequently updated as new items of interest are found and/or donated for display. 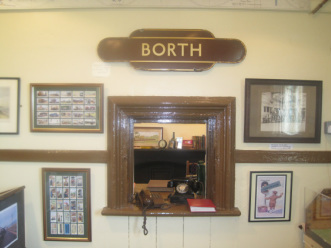 This is where you'll find the Borth Station Volunteer team who are ready to answer any questions you might have, or give you an impromptu tour of the facility. Souvenirs of Borth museum are available here, all proceeds of which go towards upkeep and maintenance of the museum. In fact, no matter where you look in the museum, you'll find something of interest, whether you're a bona fide enthusiast, or simply waiting for the next train. 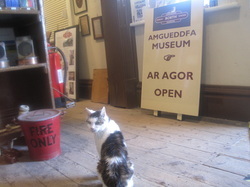 We look forward to welcoming you to the museum, and hope you enjoy your visit to the area.